In 1997, Vietnam Veteran Roger Roe had a dream. 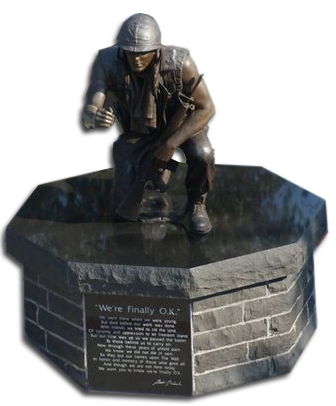 A dream of a memorial dedicated to all howard County Veterans. His dream became a reality in 1998 with the help of his friends from UAW Local 292. In partnership with local government and business leaders the Howard County Veterans Memorial Corporation (HCVMC) was formed in 1999. The memorial was completed on September 17, 2000.